Illustrated map showing special locations and destinations in Noblesville, Indiana. 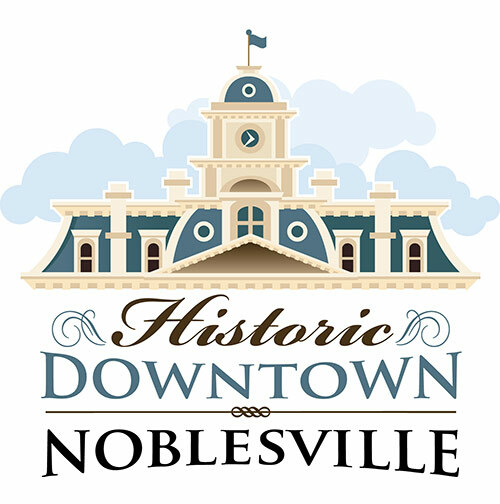 We needed to create an engaging map to point folks toward tourist attractions and key places-to-see in and around the City of Noblesville. Following a travel-poster style of illustration, we illustrated custom icons to represent specific sites. 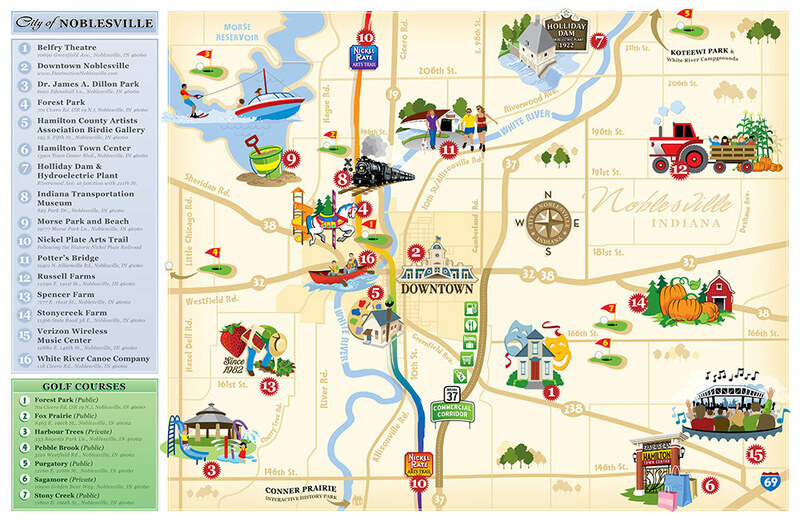 While the overall map was all-inclusive, the custom graphics were created in AdobeIllustrator, allowing each icon/illustration to be pulled from the file and used separately in additional marketing materials.